Don’t you just hate paying double fares for a private hire taxi over the festive period? 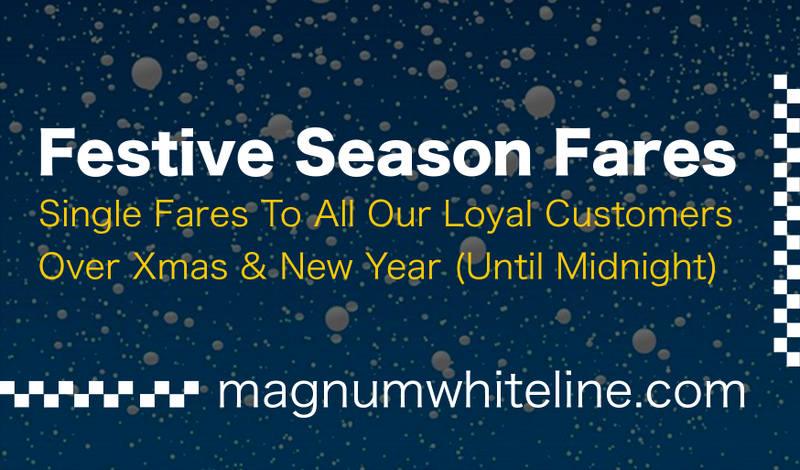 This Christmas and New Year, Magnum Whiteline are offering single fares to all of our loyal customers, including Christmas Day! Offer available until midnight.